Lovato Easy Fast is the multipoint sequential injection system which has brought innovation to the LPG world. Today, thanks to the introduction of great little new features this system has reached an extraordinary unprecedented milestone in terms of design, functionality, performance and savings. The electronic system has been optimized to make installation even easier and faster. All the components have been designed and tested by the Lovato Research and Development centre: a guarantee of excellence and reliability which drives cars all over the world towards greater and greater performance. That’s what’s inside an Easy Fast system: the simplicity of Lovato innovation. Data Recorder by AC S.A. was deigned to record LPG controller’s data (STAG-200, STAG-300, STAG-300 Plus, STAG-300 Premium, STAG-4) during the routine vehicle exploitation. It is the LPG system’s “Black Box” which communicates with the ECU by connecting to its diagnostic outlet and the + cable (red) at the ignition. The data is recorded on a memory card in .osc format and it can be opened in AcGasSynchro by choosing “Recorder”. The Data Recorder also creates the event registry containing information about the time of particular event and its description. Recording begins from the moment the engine is ignited and continues even after the loss of power. Additionally, there is an option to record particular event by pressing the button fitted in the driver’s cabin. In case of LPG system malfunction (e.g. the engine shut off on LPG) the particular moment can be marked in the recorder by pressing the button, along with the current date and time. This helps to analyze the marked recorded data and detect the cause of installation malfunction. Transfer of the data can be done by USB port where The Data Recorder is recognized by the computer as an external hard drive and the data can be copied for future use. There is a 2 GB memory card (updatable to 4 GB) used in the recorder, so it can also be used as Pen-drive. There are two LEDs (green and red) signalizing the working state of the devise. 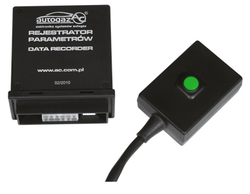 The green diode signalizes the on going data recording process and the potential lack of communication with STAG and red diode signalizes possible errors. You are welcome to purchase our Data Recorder directly from AC S.A, if you are an authorized AC S.A distributor, or through your local distribution network. Diagnostic Code Scanner is a reliable diagnostic tool for EOBD and OBD II recommended for LPG/CNG installation shops. 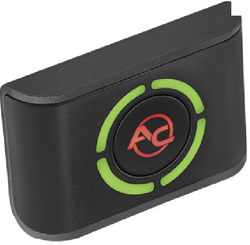 Diagnostic Code Scanner easily retrives trouble codes from your vehicle's computer which occur after detaching sensors durign the installation. It also correctly diagnoses errors during LPG/CNG installation service. Essential for use in cars generating fault codes associated with the fuel pressure while the engine is running LPG/CNG. Opel Astra IV, Opel Insignia, Chevrolet Captiva, Volvo S40, S60, S60R, S80, XC70, XC90. 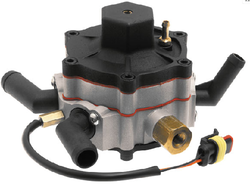 The AC R02 single-stage reducer is designed for car sequential injection systems. The device is used to reduce the pressure of liquid LPG flowing from the tank and turn it into a gas phase (vaporisation). 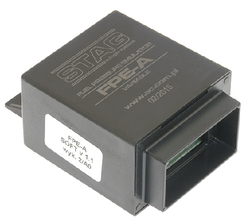 The STAG TAP-03 processor for the advance timing angle has been designed for vehicles fuelled with LPG/CNG as an auxiliary device to improve the efficiency of firing the fuel-air mixture by forcing the advance timing angle to change. The device inherits all the proven functions of its predecessors, (STAG TAP-01 and STAG TAP-02) and is extended by a number of new more useful software elements. 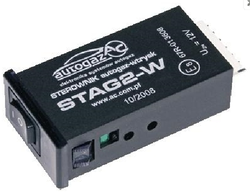 Unlike the earlier models, STAG TAP-03 has been adapted to AC STAG software (diagnostic application for TAP-03 and STAG-4 QBOX, STAG-400 DPI injection controllers) and supports Bluetooth Next interface. 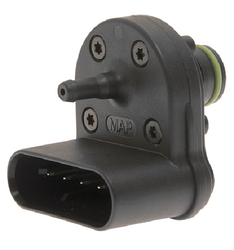 has been designed for engines with an inductive crankshaft position sensor and up to 2 electronic camshaft position sensors. has been designed for engines with a digital crankshaft position sensor and up to 2 electronic camshaft position sensors. maintains nominal engine power when using CNG. An electronic, three-wire petrol/gas switch, which performs a number of functions, from the selection and optical/acoustic signaling of the operating mode to the indication of the gas level in vehicles which have systems for fuelling the engine with alternative fuels, i.e. autogas. One of the advantages of the switch is its attractive design and the arrangement of decorative elements which are formed as illuminated channels. Additionally, the center button can be installed in different positions at 90O intervals, in a way that allows the position of the logo to be changed according to the horizontal or vertical installation of the switch. 1. A built-in photoresistor allowing the automatic adjustment of the backlighting level, depending on ambient light. 2. Optional “manual” adjustment of the backlighting of the switch. 3. Two-color illumination of the button with the logo which indicates low fuel level and operating modes. 4. The possibility to change the direction in which the LEDs indicating the gas level are turned off depending on the position of the installation of the switch. 6. Adjustment of the volume of the buzzer. The device measures gas pressure, vacuum inside the manifold and gas temperature inside the gas line. 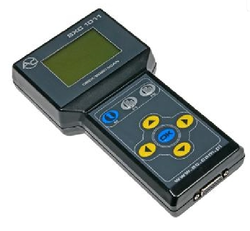 The PS-04 measuring system is designed for LPG (propane-butane) and CNG (methane) gas injection systems in all cars, regardless of engine power, including turbocharged ones. The device ensures excellent performance, regardless of gas quality, driving style and vehicle load. Control panel - automatic gas-petrol switch for fuel injection engines. Easily adjustable engine start up time. Diodes indicating operating status as well as gas reserve.